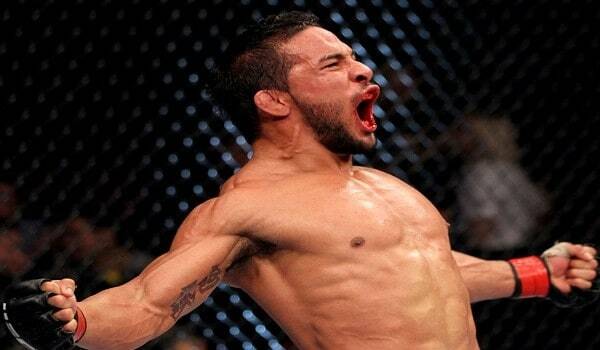 Dennis “The Menace” Bermudez is a 27 year old mixed martial artist who fights out of Farmindale, New York. Bermudez is currently ranked 10th in the UFC’s Featherweight division and holds a professional mixed martial arts record of 13-3. 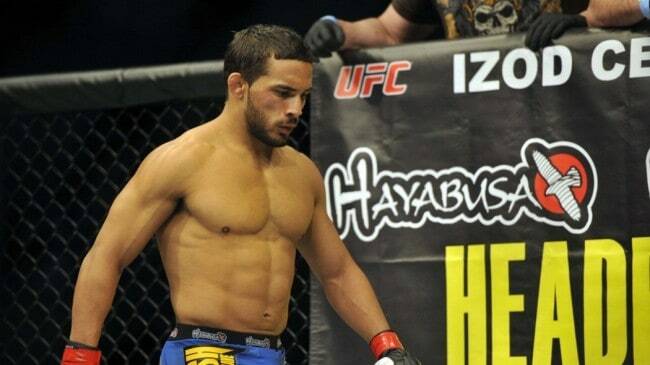 Bermudez was the runner-up on season 14 of “The Ultimate Fighter” and is also a former Division I wrestler at the Bloomsburg University of Pennsylvania. I recently had the chance to speak with Dennis about his time on “TUF”, his fight with Matt Grice and where he stands in the Featherweight division. First off, I’d like to congratulate you on a very impressive TKO win over Jimy Hettes last week. You’ve now won six straight at Featherweight, where do you think this most recent victory puts you in the division? It puts me in the top 10, now from here we just keep working closer and closer to that belt. Speaking of the belt, in your opinion, how many wins are you from a title shot? To find your last loss you’d have to go all the way back to December of 2011 to “The Ultimate Fighter” season 14 finale, where you lost to Diego Brandao in the finals. What did you take away from that fight? And what did you learn from the whole experience of TUF? I learned to get better at Jiu-Jitsu. And I learned a lot about myself inside the house, in that I believe when I’m zoomed in and focused I can’t be beaten. Your coach on “The Ultimate Fighter”, Jason “Mayhem” Miller, is known for being a bit wild, but seemed to really care about his team. What did you think of “Mayhem” as a coach? And have you worked with him since? No I haven’t worked with him since. But yea he was an amazing coach on the show. Is there a certain fight of yours that your most proud of? And has there been a certain fight that has changed you as a fighter and/or person? Probably that Grice fight. That was a f*ckin war! Had to dig deep emotionally, physically and mentally, dude is super tough. It definitely was! One of the best fights of 2013 in my opinion. How did you feel about not receiving a “Fight of the Year” nomination for that one? I thought it was a bunch of bullsh*t. I think me and Grice didn’t get it because we aren’t big name guys. You’re currently ranked 10th at Featherweight by the UFC rankings and have beaten tough guys like Matt Grice, Max Holloway, etc.. but have yet to face a ranked opponent. Would you prefer your next opponent to be in the top 10? And if so, is there anyone in particular you’d like to face? To me it really doesn’t matter as long as I’m getting closer to the belt. Thanks for taking the time out to do this interview and best of luck in your next fight. Is there anything you would like to add? Daniel Clark: What’s the craziest thing you have seen happen in the gym? Bermudez: I once head kicked a training partner in the head & he fell down & instantly started snoring. I thought he was kidding around. Jamez Shand: Can you call out Conor Mcgregor? Would love to see that fight. Bermudez: I don’t care about Conor McGregor, I want the belt. Alex Greiner: Pancakes or Waffles? 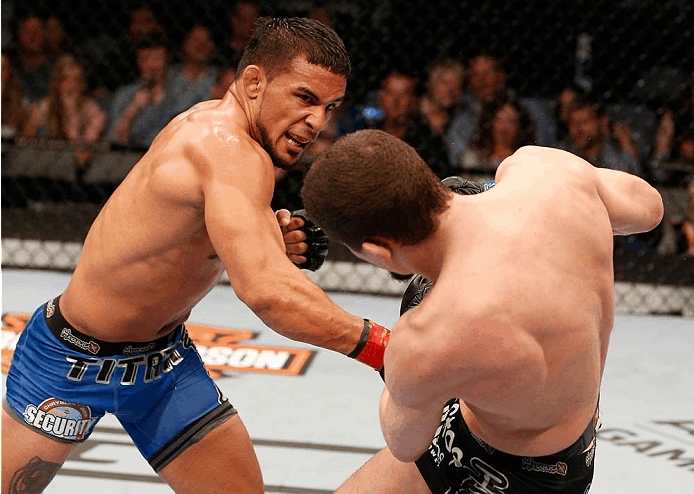 MMA NUTS: What’s more deadly, the Bermuda Triangle or Dennis Bermudez winning by triangle? Bermudez: Dennis Bermudez winning by triangle, duh! Justin Carter: Considering your win streak, why hasn’t the UFC put you on a main card?